Al Kesselheim and I recently completed a project for the Montana Department of Natural Resource Conservation. 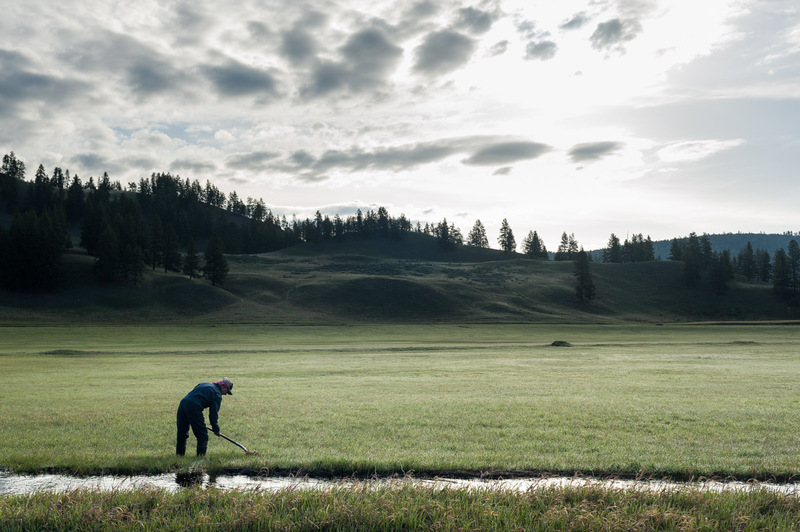 We profiled water users in the different watersheds of Montana for the department’s report to the Montana legislature. 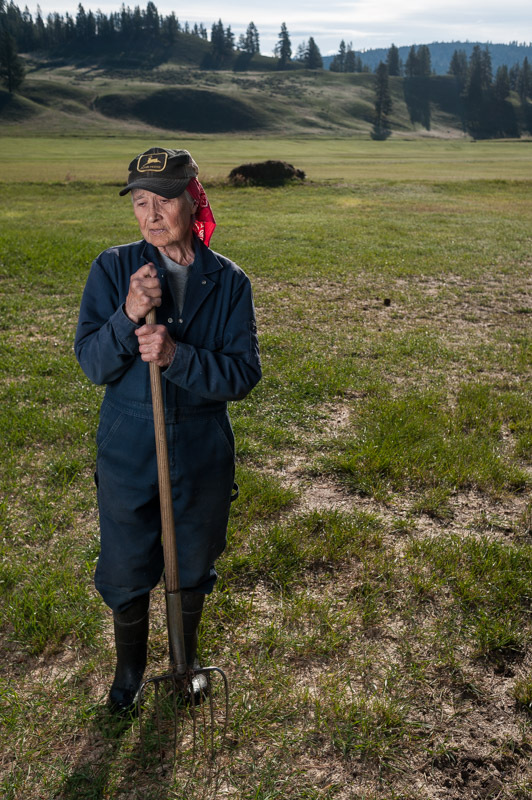 This is Betty Potter, 72, who arrived at a ranch in Clearwater Junction, Montana, in 1962, planning to stay two weeks. 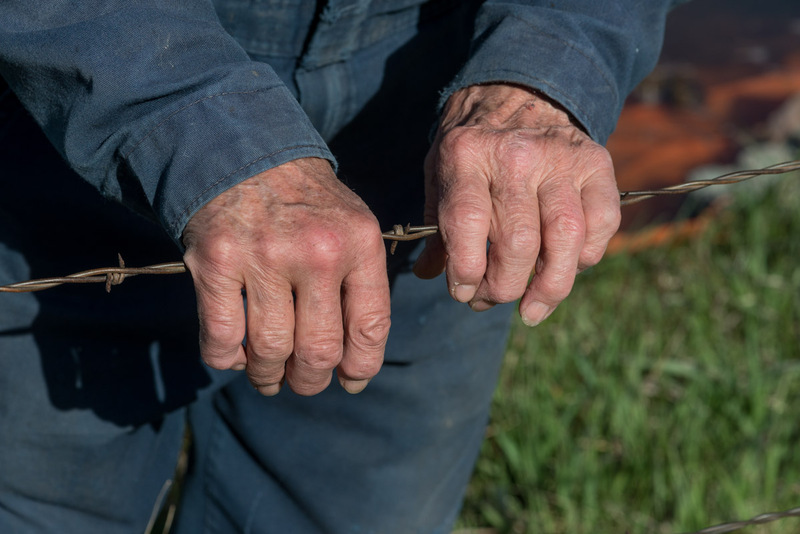 More than 50 years later, she was cleaning hay and horse manure from the irrigation ditch that waters her hay fields — still at that same ranch. “I’ve got a bad back, a bad knee, sore shoulder. I take a lot of Ibuprofen,” Betty Potter says. Bigger images on my website. Now that was some pretty great photography that obviously did justice to a real woman. She’s one of a kind. That’s for sure. Hi Thomas, I just came across these photos and they are stunning. I interact with Betty occasionally through work. She is the real deal, and needless to say she has made quite an impression on me. I always feel that I fall short when I try to describe her to friends, but your photos capture her perfectly. Especially her hands 🙂 Thank you for these! Thank you for your comment, Kay. Betty is indeed a refreshing breath of authenticity.